Suppliers are used during the Purchase Order process. To create a supplier in Veeqo follow the steps below. If you have a large amount of suppliers to add you may want to Import by CSV. 1. From the Products>Suppliers screen hit + New Supplier, then complete the details for this supplier. Supplier Name The unique company name of the supplier. This is used when selecting a supplier during PO Creation. Supplier Address First line of the suppliers postal address. This is used for the documents sent to the supplier. Sales Contact Name The full name of the person who Purchase Orders should be addressed to. This is visible on the documents sent to the supplier and also on the Settings>Suppliers list. Sales Contact Email The email address that the suppliers Purchase Order is sent to. Sales Contact Phone The suppliers phone number. This can be used on the documents sent to the supplier. Account No The suppliers bank details used for your own reference when paying outside of Veeqo. 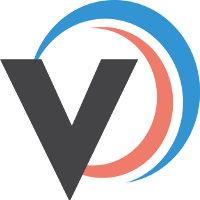 Sort Code The suppliers bank details used for your own reference when paying outside of Veeqo. Bank Name If the supplier has a separate accounting contact enter the full name here.